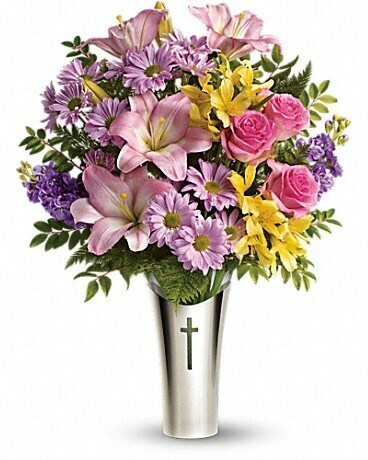 Send Easter greetings they'll never forget with roses, lilies and other favorites in an elegant glass vase inside a silver-plated sleeve with a beautiful cross motif. 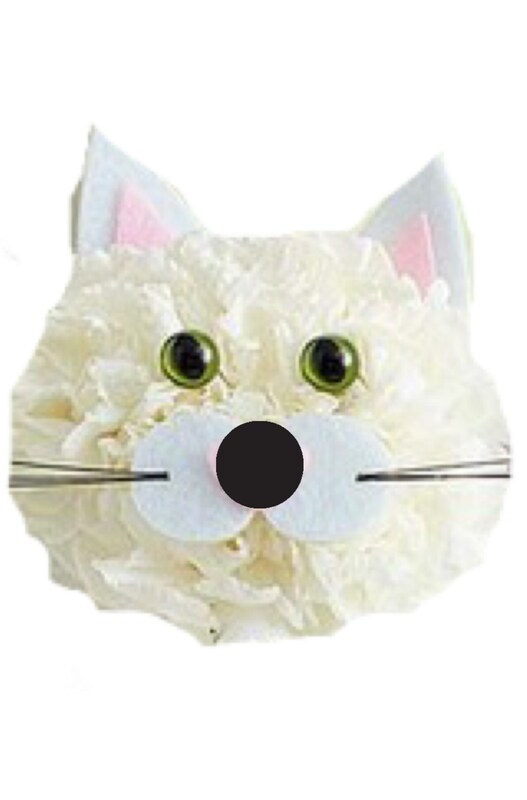 They'll treasure this lovely keepsake as a tribute to a sacred season and as a thing of beauty. With all the brightly colored eggs and dress-up clothes, it's sometimes easy to forget the true meaning of Easter. 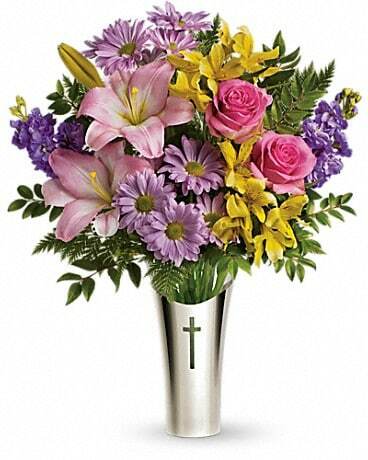 This lovely gift reminds us of the reason for the season with spring flowers in a vase held by a silver-plated sleeve bearing a beautiful cross. 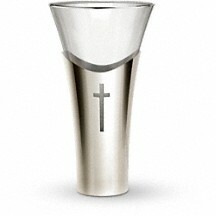 This lovely glass vase inside a silver-plated sleeve with a cross cut out of the metal is from Teleflora's renowned Flowers-in-a-Gift collection. 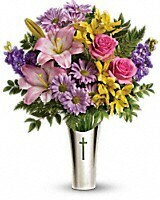 It will be a favorite for beautiful bouquets throughout the year.